Learn about monetization options beyond ads that you can use to diversify your channel revenue and choose which ones are right for your channel. You don’t need to be a YouTube “celebrity” to diversify your revenue. You just need enough fans who love your channel to make it worth your while. Extra income can potentially shift your channel from a hobby to a career and allow you to take on more ambitious projects. With ads, there’s not a huge amount of effort on your part after you’ve set them up (and are making advertiser-friendly content). But with some other non-ads based monetization options, you'll need to prep and promote them effectively to interest viewers to make a payment. But don’t get intimidated, this course will walk you through the details to help you maximize your efforts. Consider what you can give your viewers of value in return for their purchase. 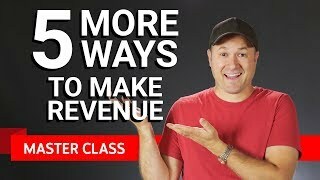 Tim Schmoyer from "Video Creators" shares some of the revenue streams he's experimented with on his channel, including merchandise and crowdfunding. Coming from a small town didn’t stop Alonzo Lerone from finding a new opportunity on YouTube. 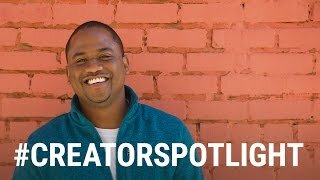 Find out how he transitioned from a bakery job to succeeding on his terms with YouTube. What monetization options are right for my channel? What is it? Viewers of your YouTube live streams and Premieres can purchase Super Chats to make their messages stand out from the rest. You can sell your branded items (like T-shirts or mugs) to your fans through approved external sites or the merch shelf on YouTube for eligible channels. Viewers can make recurring monthly payments to buy a membership to your channel in exchange for badges, emoji and to get access to custom perks that you offer and deliver. Crowdfunding can be used to drive awareness and seek support for your channel or an initiative. Backers may receive something in return for their contribution. Is this a feature that is built-in to YouTube? Yes - eligible channels can enable it in the Super Chat section of channel features. Yes - a merch shelf is available to eligible channels in some locales. Also, you can link out to approved merch sites with end screens and cards. Yes - eligible channels can enable channel memberships in available locales. No - but eligible channels can link out to approved crowdfunding sites in your end screens and cards. Requires some setup? Not much - just enable it via YouTube and use it during a live stream or Premiere. You should think ahead of time how you might interact with viewers who send Super Chats. Yes - you’ll need to select and design your branded merchandise. Yes - design custom badges, emoji and deliver member perks. Yes - determine scope of your crowdfunding campaign and how you want to drive awareness to it. Will my audience support this new endeavor? If you worry that your audience might not show you support or approve of asking them to buy something, you’re not alone. It can be awkward or feel culturally-inappropriate. While it’s important to take these things into consideration, remember that you’re offering fans something in return—whether that’s a perk exclusively provided by you (even if it’s just a shout-out), or a really cool and unique piece of merchandise. Look at your audience and their behavior: Do you have a large core audience who are really passionate about your content and show up consistently? In addition to positive comments, do you see the same viewers show up time and time again? These are two factors that can indicate you have a loyal audience who support your ideas. If you’re still not sure, try asking them in a video or with a poll. Communicate how a new endeavor fits with the overall mission of your channel. Let your audience know what some extra revenue could mean for your channel and reassure them that your new endeavor is always optional. We recommend that you don’t take anything away from existing viewers—your core content should still be free and released on your same schedule. Also, it’s a good idea to reassure your audience that you still really value the time they give you by watching your channel. Are your viewers asking for more content? Is your subscriber count growing? Are similar channels offering merch, memberships, or Super Chat? What should I offer that my audience will actually want to pay for? You’ll want to carefully consider what you will give your audience in return when setting up a new monetization option, and it will differ based on which one you choose. You know your audience best so brainstorm what might get them excited. Whatever you’re offering, your goal is to earn more money after you’ve factored in your own costs, so make sure you keep those costs down. Just because something’s low cost to you, doesn’t mean it’s low value to your viewers—especially if they can’t get it anywhere else. And make sure you’re offering something and doing it in a way that can scale up easily—so you can keep fulfilling as your audience grows and it doesn’t take over all of your free time. The more unique or on-brand your offering is, the more likely your audience will be excited and want to pay for it. How much time and money should I expect to spend? Each new revenue stream option will require you to do some setup and background work, as well as time to execute it. We’ll get into the details for each. Think about your schedule and factor in how much time you actually have to work on a new project like this. Determine how much money you want to make. Be reasonable at first, you can always adjust later! Consider if you’ll need to invest money upfront. For some revenue streams, like Super Chat, you may be recognizing your fans with a shout-out or a mention in your next video. But others, like merchandise or crowdfunding, may require some money up front to build out the products or campaigns for your audience. Estimate how many people might spend money on it. How many engaged fans do you realistically have on your channel? If you’re not sure, consider asking your audience with a poll to see if they would be willing to participate in your next venture. Let’s say you have 50,000 subscribers, could you get 100 to buy a piece of merch or participate in Super Chat? Would that be enough? Remember, this is going to be an iterative process so start slow and expect to keep revising your numbers. Maximize your revenue by considering more than one new monetization option that you may be eligible for.